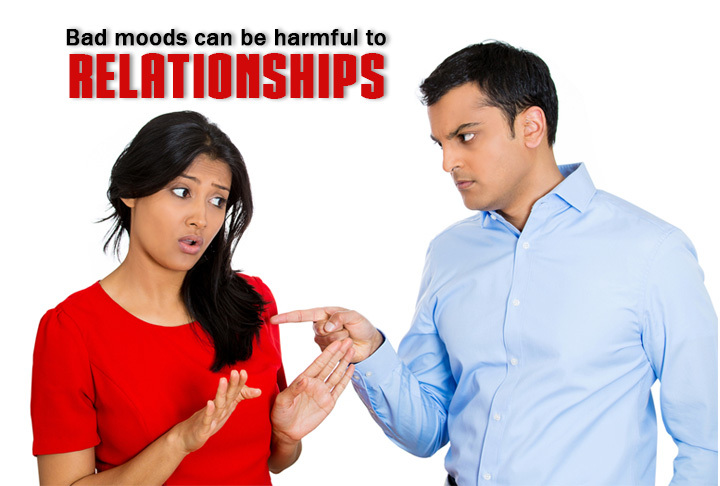 It is a fact that bad moods can be harmful to relationship, because when either of the partners is not happy, the negativity spreads. When your partner becomes angry, sad, anxious or jealous, you are affected, and here are ways to manage your relationship. You or your partner may have a disagreement or not have similar thinking about a situation, which can affect the mood of individuals. However, it is important to have patience and get a grip on the situation because when your partner is in a foul mood, it does not help to get angry as it can lead to more disharmonies. Thus, one of you has to stay calm. You don’t have to always fix things nor are you always responsible for the foul mood. Sometimes, bad moods stem from anger, insecurities, and lack of communication which can be resolved by listening to the reasons why the spouse or partner. Just sit together and listen to the problems that he/she is undergoing. The reasons may not even be related to you so it is best to clarify the reason for the bad mood. Sometimes, all that your partner needs is your shoulder to cry on. It is important to know that you cannot control anyone’s feeling but can only control your reaction to the bad mood. The only thing that you can do when your partner is in a bad mood is to offer support, give him/her space and one thing that you need to ensure is that don’t nag. There may be plenty of reasons and it is best for the partner to come up and discuss. If you nag, it can lead to relationship issues. Most of the time, foul mood can be contagious and when you nag, it adds to the irritability factor, leading to squabbles and arguments.